LONDON, England --- An Adventist woman paused in prayer this afternoon, pleading for the sun to stand still so she could finish her long list of chores before sunset. Franically listing the ironing, the mopping, the shopping and the cooking to prove her need for a miracle, Tara Dee threw in her husband's half-mown lawn and last-minute supermarket run for good measure. Dee did her utmost to draw convincing parallels between her predicament and that of Joshua, the only man who had prayed for the sun to stand still with successful results. Comparing her battle against time to Joshua's battle against the Amorite kings, Dee begged for the sun to stand still. She followed the prayer by half-heartedly commanding the sun to stop in its tracks. After losing a good half hour trying to decipher if the sun had actually stopped, Dee realized that she was getting no such cooperation from the celestial body. 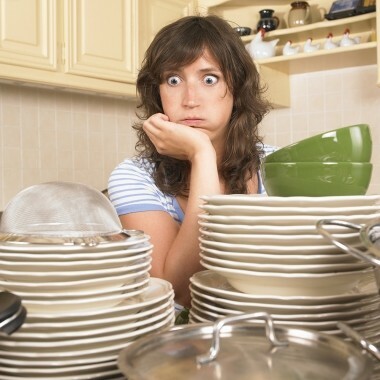 She quickly transitioned to a prayer for deliverance from the unimpressed stares of tomorrow's Sabbath lunch guests when they realized that her house hadn't seen a thorough cleaning in weeks.